On this page, you will find the graphic elements (logos and colours) as well as the guidelines applicable to the use of the SOPREMA brand. The uniform use of the brand protects its identity and helps people recognize SOPREMA references easily. If you have to write the word SOPREMA in a text, you must use all capital letters. Do not use the name SOPREMA in the plural form nor as a verb. Do not claim any rights to the SOPREMA brand by registering a trademark or a domain name or by any other means. Do not modify SOPREMA brand elements in any way, like changing the design or the colour. Making it the most distinctive or visible element of what you create. Always keep the proportions of the logo (name vs. mammoth). Keep enough space around SOPREMA brand elements for a clear, uncluttered look. Keep a minimum width of one inch for the logo. By downloading these logos, you confirm that you have read, understood and accepted the terms and conditions of use. 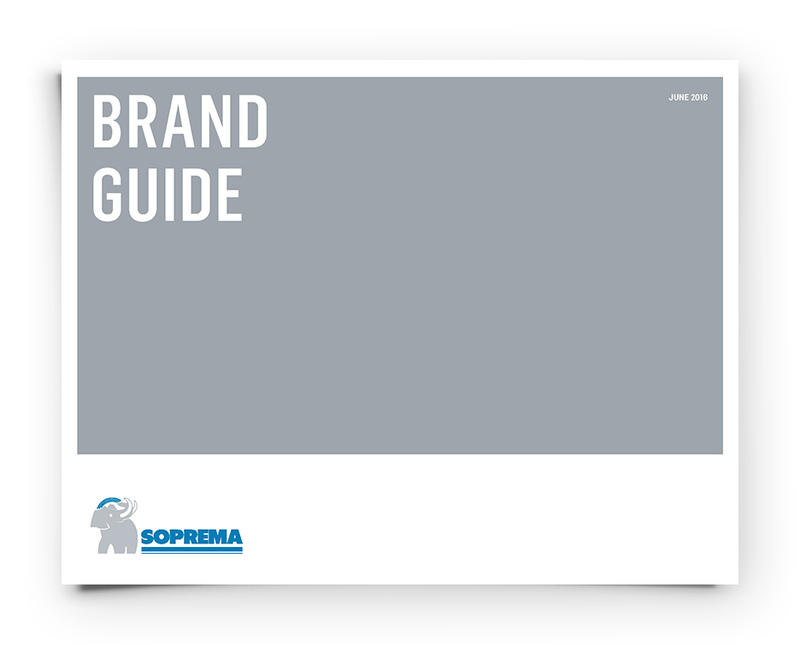 Download the SOPREMA Standard Guide for more information on the guidelines applicable to the use of the brand.